They may be scientifically classified as such, but they are often not considered to be animals. Stepping on an insect and killing a dog are seen as very different to most people. They are part of the animal kingdom. Here you are too. Last edited by blackicmenace on 13 Apr 2019, 6:50 pm, edited 1 time in total. To be clear, there are 6 kingdoms. Yes, insects are part of the animal kingdom. I think insects are animals and I don't believe in killing them. They're arthropods, just like spiders and crustaceans. Arthropods are a subdivision of the animal kingdom. Coral looks like a plant, but is actually an animal. Plants are alive yet most people have little to no empathy for them either. The smell of freshly cut grass is a distress call. Just the same as when other plants call out for help from insect when they are under attack. It bothers me to crunch a baby carrot pulled fresh from the garden. 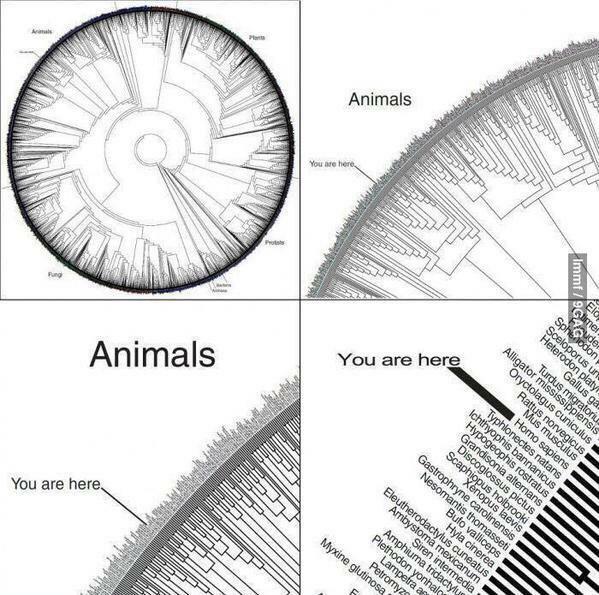 Insects are in the animal kingdom, and therefore are animals. Years ago, there were only two kingdoms: plants and animals. Fungi were thought to be plants, but their cell walls (a plant-like characteristic) are made of chitin, like insects, and they store glycogen, like animals. Scientists gave up and gave then their own kingdom. My first house had roaches in it that were bigger than chihuahuas. Typically people who say they are against animal cruelty don't think twice about swatting flies or spraying roaches. They don't consider insects animals. Due to their adherence to the biological manner of classification, insects are part of the anthropoda phylum ( as some others pointed out too). What is interesting that some of the reasons for their classification is that they don't have the characteristics that make the other categories. They do have similar features like jointed legs, segmented bodies etc. Additionally, even though millipedes have some of these characteristics, they are not insects. They are anthropods. Anyone prefer stuffed animals/real animals to people?